Tamlyn Tomita plays Allegra Aoki on ABC’s new hit show The Good Doctor, which premiered last month to 17 million people. 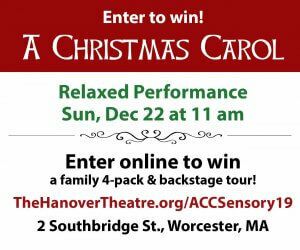 The series follows Dr. Shaun Murphy, a surgical resident with savant syndrome and an autism spectrum disorder (ASD) and his journey navigating both his medical training and his new coworkers, some of whom are hesitant to trust him in a surgical position. Ms. Tomita’s character, Allegra Aoki, heads funding for the hospital and finds conflict in presenting Dr. Murphy as a responsible and competent doctor to ensure donors do not withdraw their funding. For this exclusive interview with Autism Parenting Magazine, Ms. Tomita was ready to dive in and discuss not only the show, but her experience learning about individuals on the spectrum and her willingness to continue that learning process off the set as well. 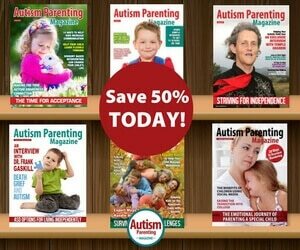 Autism Parenting Magazine (APM): What attracted you to The Good Doctor and the role of Allegra Aoki? Tamlyn Tomita: “Well, I didn’t see the script beforehand, but I liked the idea of working with a character with an autism spectrum disorder and savant syndrome who is a surgical resident in a teaching hospital. It offers a plethora of conversations that can continue in future episodes. How the residents react to him and how the doctors teach him will be interesting. I hope people realize that Dr. Shaun Murphy is just a human being. We, neurotypicals, have to adjust to people with an ASD and learn how to interact and accommodate their differences, and realize those differences aren’t bad, they’re just different. Allegra manages incoming [money for a] prestigious hospital and has to convince donors that it is worthwhile to donate to [the hospital]. She has to steer clear of controversy and be good to the donors. It’s a complicated position. APM: Can you give some context to your experience with people with autism prior to joining The Good Doctor? Tomita: I had friends who have people in their life with an ASD. APM: What assumptions did you have that may have changed since filming? What was that learning process like? Tomita: I know that I have to regard each person differently. I know that autism is not a disease and that there is no cure. It’s a disorder. It’s so important to get [person-first] language correct, and my responses have to be spoken correctly. ASDs are a matter of different behavior and it’s important to change with a person with autism. Their behaviors are a widening of behavioral norms and skills. Sometimes, they will grasp a skill or learn a topic much quicker than a neurotypical person with savant syndrome or autism might. Some skills may take longer. But I need to advocate with people with ASDs and speak alongside them, not for them. I need to question my assumptions and ask questions without hovering or becoming overprotective. I need to learn alongside people with ASDs. 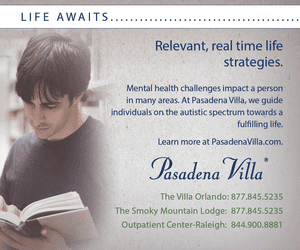 APM: How will you use this experience and knowledge to advance public knowledge and understanding of autism? Why is it important to do so? Tomita: I need people to know that autism is not a disease and it is not scary. Differences make our lives more joyous, difficult, and worthwhile. Persons with autism may have “quirks” but we all have them, we just need to recognize the [quirks] for what they are and break boundaries. Neurotypical people need to be OK with adapting, we are on this journey together. Person-first language is something that Freddie Highmore’s autism consultant on-set taught us and it takes practice. Learning gets me excited and helps myself and others speaking more correctly and it does take practice, but it’s a matter of respect and I hope more people will become aware of this. We need to cohabitate with all other humans on earth and love and respect each other. It can be a challenging road to get everything right but it can also be a lot of fun. We all make mistakes in forgetting person-first language or having an incorrect assumption, but I hope we can learn from them, and laugh when it’s appropriate and move on. Humor and grace make it less intimidating to make a mistake. APM: What does The Good Doctor have to offer the general public and the autistic community alike? Tomita: To be able to see Dr. Murphy presented with all these circumstances, the day to life circumstances and the ones specific to being a doctor. On Dr. Murphy’s first day of work, he is lying wide awake unable to sleep. Those small moments of life that we all experience align neurotypical and people with autism. We see Dr. Murphy get ready for his day and brush his teeth and some of those things he does quite–quotes–normally and some he does in his own unique way, and that’s OK. We, humans, are all so different and it’s not a bad thing. APM: Have you received any feedback from anyone on the spectrum about their opinions on the show? Tomita: Personally, I haven’t, but the writers at ABC have. 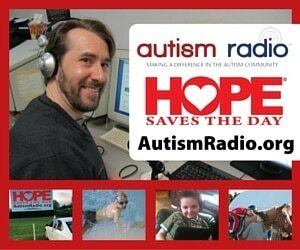 They have an autism consultant on set and want to do right by the autistic community. People with autism have every right to respond and react any way they want and we want to do right by them and learn from their feedback. Dr. Murphy doesn’t represent everyone on the spectrum and we want to emphasize that. Dr. Murphy isn’t the hero in every situation either and I think that’s important. I want [APM] readers to know that if they want to write to ABC they should. Make your voice heard—your opinions and criticisms. The creators are good people who want to do right by those with ASD and their families and support systems. 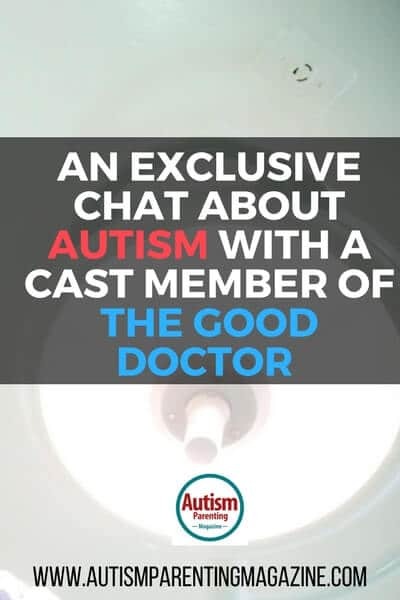 Ms. Tomita has a genuine desire to use her time at The Good Doctor to educate not only herself but hopefully others through the show on the importance to seeing people with ASD as whole and complete individuals. She admits there is so much more to learn about the community that she and her coworkers are dedicated to representing authentically. The Good Doctor airs on ABC, Mondays at 10/9 central. 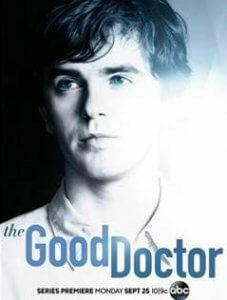 I have watched the original Korean drama of The Good Doctor. Since I have been doing advocacy with children and adults with autism here in the Philippines I have recommended parents to watch this drama. Will be interested to watch the remake of the American and Japanese versions of this drama.